One subscriber, has been selected to receive a copy of The Thinking Space: The Café as a Cultural Institution in Paris, Italy and Vienna edited by Leona Rittner, W. Scott Haine, and Jeffrey H. Jackson. A $124.95 value (Ashgate Publishing Limited). Winner: Beth S., Shrewsbury, MA. 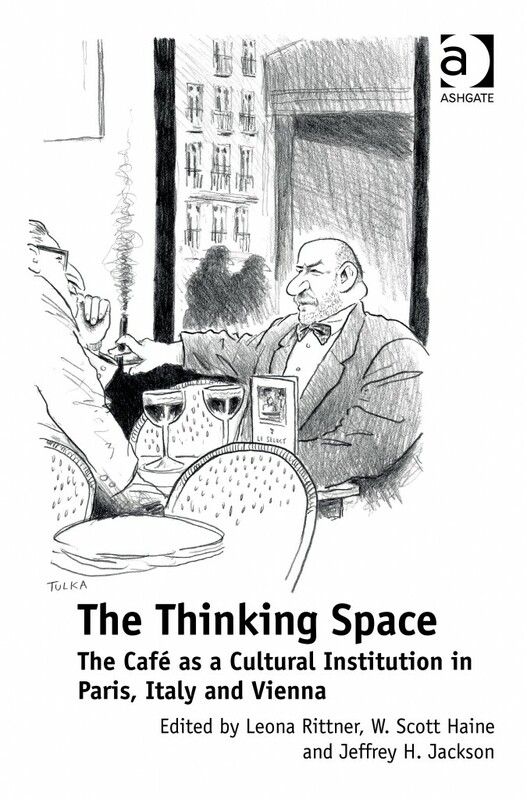 Excerpt: “The Thinking Space: The Café as a Cultural Institution in Paris, Italy and Vienna” (Excerpt, Part One) published on A Woman’s Paris®. Excerpt: “The Thinking Space: The Café as a Cultural Institution in Paris, Italy and Vienna” (Excerpt, Part Two) published on A Woman’s Paris®. Interview: French Impressions: W. Scott Haine on café culture in Paris, Italy and Vienna published on A Woman’s Paris®. Thank you so much! What a wonderful surprise! I’ve so enjoyed reading A Woman’s Paris; I’m very much looking forward to reading “THE THINKING SPACE: THE CAFÉ AS A CULTURAL INSTITUTION IN PARIS, ITALY AND VIENNA”. I have many fond memories of the cafes in Italy & Vienna. I hope to visit the cafes in Paris someday…this book will serve as inspiration! You and your subscribers might be interested to watch a presentation given by one of the editors, W. Scott Haine. Leave a reply on "Subscriber selected to receive “The Thinking Space: The Café as a Cultural Institution in Paris, Italy and Vienna”"